The Ruby Getaway is a cozy 2 bedroom Tahoe retreat conveniently located at near Heavenly, the Lake, The Heavenly Village with shopping, dining and entertainment options. 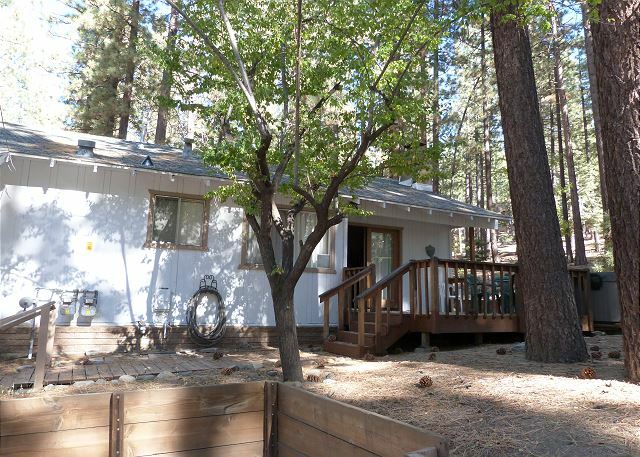 The Getaway is a perfect spot for 2 couples or a small family coming to play in Lake Tahoe. Conveniently located 4 minutes from the California Base Lodge of Heavenly, or 5 minutes to the Gondola (depending on traffic). The Ruby Getaway is adjacent to open land, plenty of room to play among the tall pines. The hot tub is set on the front deck with a view of the trees. The hot tub has jets and massage units. The hot springs spa hot tub was purchased new spring of 2018. The Ruby Getaway features a living room with a wood stove, 2 comfortable couches, one with dual recliners,and a flat screen TV. The dining nook has a dining room table that seats 4. The kitchen has an electric stove, dishwasher and is ready for your to prepare the family meal after a day of skiing. 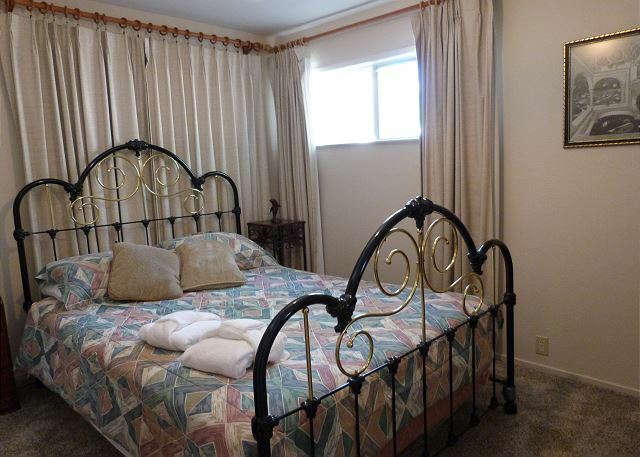 Each bedroom has a queen sized bed, TV and comfortable bedding. 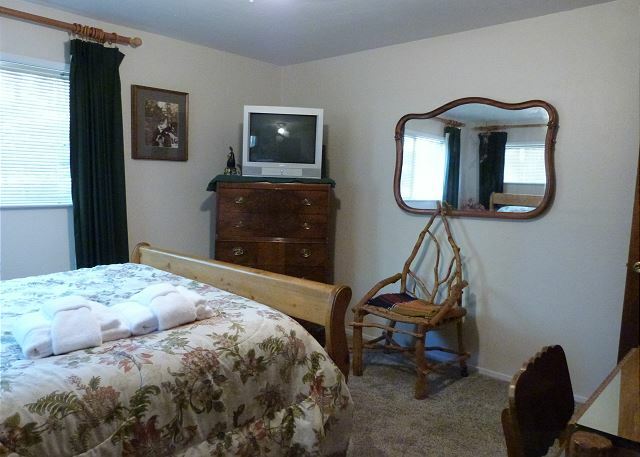 a guest from los gatos, CA does not recommend this vacation rental. it's a cozy house with a great location. However, the furniture and bedding are not good for someone who has dust mite allergy. the cover on the main couch has dog hair. we stepped on a pin/needle on the rug in the kitchen. it's nice to have all the working appliance and additional utensils/Tupperware in the kitchen if you cook. the garage is very narrow. Yet again the location is great to go to Heavenly or walk down to the restaurants on Ski Run Blvd.